Most of the results from Tuesday’s midterm election are now in, but what do they mean for Emory? Emory’s Office of Government and Community Affairs (OGCA) has spent considerable time evaluating this question. Our office of government affairs specialists is the official liaison between Emory and the government at the federal, state and local levels. The OGCA team develops, guides and executes public policy priorities in support of Emory’s mission, while serving as a resource to government and community stakeholders. Over the last six months, the state affairs team met with both campaigns for governor and travelled across the state to expand Emory’s relationships with state legislators. As of Thursday afternoon, we are still waiting for the election results to be certified. Currently, Brian Kemp leads in the vote tally to be the next governor of Georgia. Regardless of candidate, we are looking forward to working on mutual issues of importance to Emory, like improving access to health care and serving as a resource to lawmakers. There is considerable turnover in the Georgia General Assembly, with at least 35 new state legislators, including at least four Emory graduates. The federal affairs team will continue to work with the entire Georgia congressional delegation, partnering on issues important to Emory. In the U.S House of Representatives, at least 12 of 14 current House members will return to Capitol Hill in the 116th Congress. One seat that flipped was Georgia’s 6th Congressional District, where current Rep. Karen Handel, a Republican, was defeated by Democrat Lucy McBath, a former Delta Airlines employee and activist who emphasized her family's history with gun violence. Her son Jordan Davis was shot and killed in Jacksonville, Florida, in 2012; she had been running for the state House but switched to run for Congress after the Parkland school shooting in February 2018. The race for Georgia’s 7th District, currently held by Republican Rep. Rob Woodall, is still too close to call. The OGCA team is closely monitoring that race. The House will be controlled by the Democrats for the first time in eight years. There may be some areas of bipartisan agreement in the area of criminal justice reform and infrastructure investment. Democrats are also expected to unveil a series of legislative proposals on ethics reform, prescription drug pricing, immigration, criminal justice reform and health care insurance stabilization. Republicans will continue to lead in the U.S. Senate, and Georgia’s two Republican senators, Johnny Isakson and David Perdue, will continue to rise in seniority. We expect Senate leadership to continue pushing the president’s agenda and spend a considerable amount of Senate floor time confirming federal judges and executive branch appointments. In the next few weeks, Congress will return to finish its work for the year. Spending for 30 percent of the federal government expires on Dec. 6, and some insiders anticipate a confrontation with President Trump over his border wall. The OGCA team will be on the Hill advancing issues important to Emory. We applaud Congress for advancing the majority of the federal budget through regular order in a timely manner. 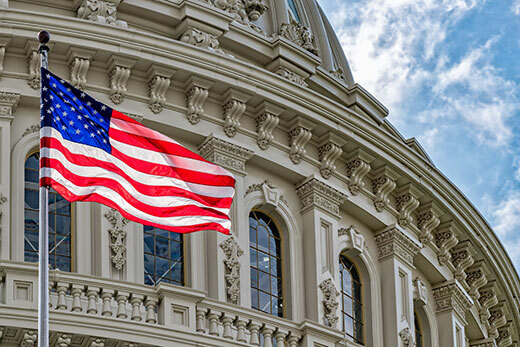 We are especially pleased the National Institutes of Health received a $2 billion boost for FY2019. Engaging with the local community in support of quality of life issues impacting our shared neighborhoods. As Emory continues its work with government officials, the OGCA welcomes the partnership of experts across campus. We also encourage our students to take advantage of internship opportunities like those listed on our website. Compliance and coordination are particularly important at the federal level where the law is prescriptive regarding the reporting of lobbying activities. Here is the link to Emory’s lobbying policy, which ensures Emory’s compliance with lobbying disclosure laws.